Have a question? Ask Google. You can say that Google is the best search engine out there and no one would even argue with you. But Google isn’t just a search engine company anymore. Yes, of course it is also home to the ever-popular Android OS but Google’s reach is far beyond the online realm. For many years now it has been trying to conquer the world’s heart when it comes to research, particularly in new sciences and technologies that would greatly benefit humanity. From a mere search engine that was almost sold to Yahoo! for $1 million to exploring space, Google sure has come a long way. And it isn’t stopping anytime soon. Let’s take a look at what Google has been up to. Google appears to be building a robot army, and I’m not even kidding when I wrote that. 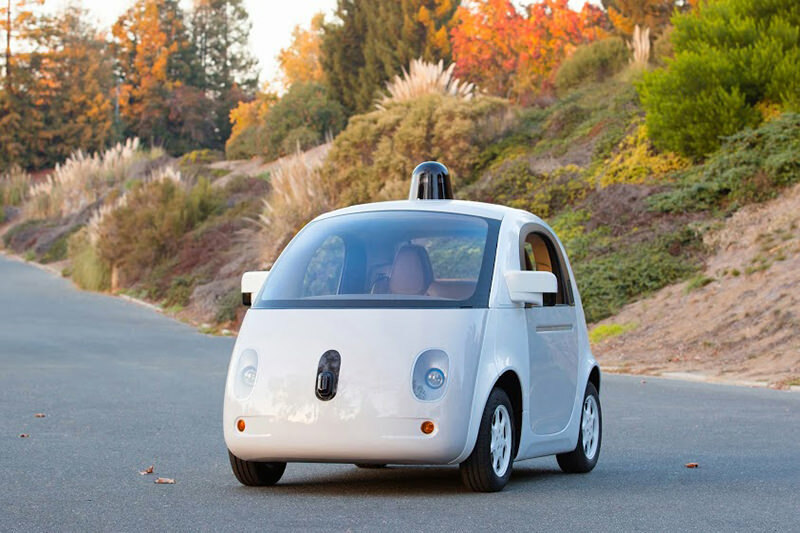 Google first dabbled in robotics for their driverless cars. But later on, it acquired at least 8 robotics companies, including Boston Dynamics which is known to build Pentagon-funded advanced robots. 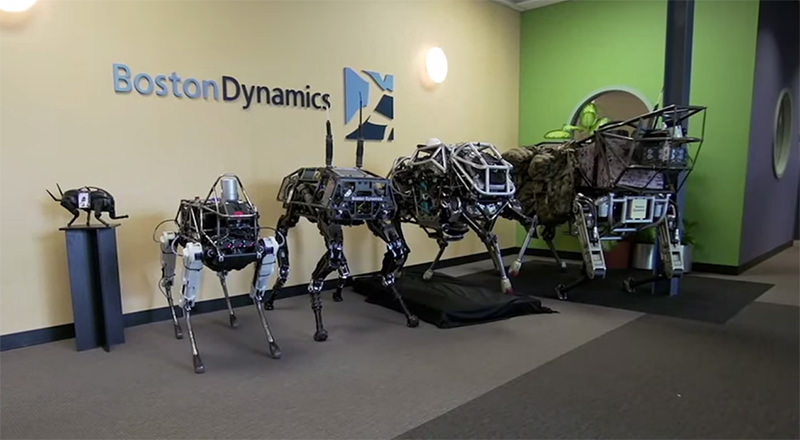 Here’s a recently released video of Spot created by Boston Dynamics. And then there’s these robots with personalities, which is a bit on the creepy side because it could mimic the dead. Alright, to be fair, these robots will “carry” transferable personalities by people who have passed on. Perhaps this can be helpful in easing the grief of people who have suffered a sudden and heavy loss? The stir about electric and autonomous cars has been around for a couple of years now. Big names like Volkswagen, Mercedes, Tesla, General Motors, and Google (of all companies) are pushing for driverless cars. The goal everyone is aiming for is to solve the long-standing issue of people on the road. Yes, we are a danger to ourselves. Google’s self-driving cars have been involved in 11 minor accidents in the last 6 years, and none of them were reportedly caused by the car’s own fault. By introducing autonomous cars on roads, cars which can compute faster than a hundred sober minds combined, road-related accidents may see a significant drop. Driverless cars will also significantly help those who do not have the capacity to drive, either because of health reasons, disabilities or old age. Check out their YouTube channel and Google+ to follow their progress. The buzz about going to space has been in a hype, every since Richard Branson of Virgin Airlines and Elon Musk of Tesla and Space-X joined the space race. Google too has its eyes set on going back to space. In fact, Google has leased a NASA airfield for 60 years for a cost of $1.16 billion , with a promise to upgrade its facilities and help educate people about the importance of space exploration. The plan was to go back to the moon, for good. And how are they going to do this? 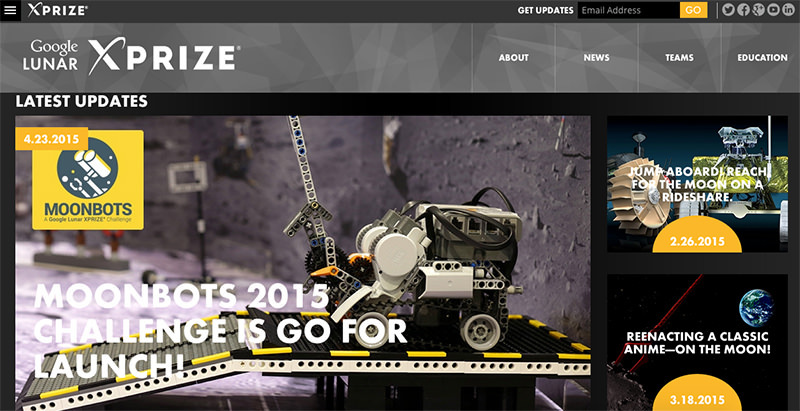 Via the Lunar XPRIZE and with the help of privately funded organizations. Basically, Google is offering a cash reward of $20 million to whoever accomplishes three things: land a robot on the surface of the Moon, make it move at least 500 meters on, above, or below the surface of the Moon, and finally send back HDTV streams to Earth for us to enjoy. Tired of replacing your phone every six months or two years because of wear and tear or outdated technologies? 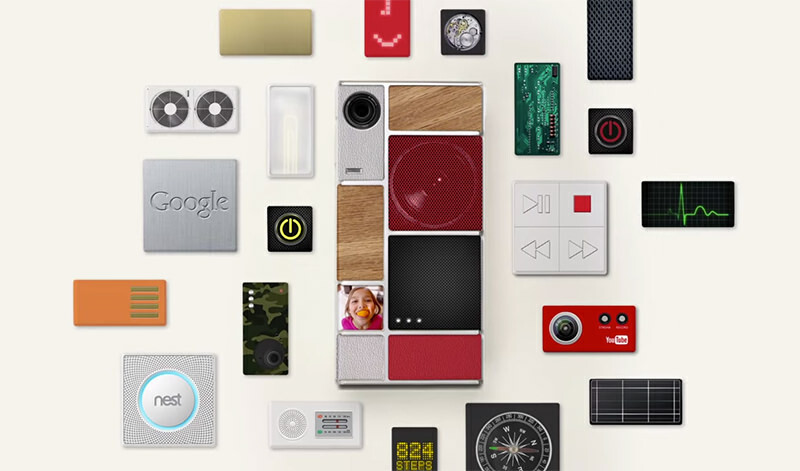 That may be why you have been excited about Project Ara ever since it was announced. The concept is simple: treat a phone like it is a lego toy. Assemble the phone according to the parts you need enhanced. For instance if you are a photographer, you could focus on upgrading your camera or lens, or if you are a music lover, you can aim for better speakers and audio quality or longer-lasting batteries for uninterrupted listening time. Instead of buying a phone that may not have the feature you are interested in most, have more control with a Project Ara phone. Project Ara not only lets you “upgrade” the hardware you need most, it also ensures that you don’t have to change your whole smartphone just because one part is broken, which is essentially what forces most of us to change our phones in the first place anyways. Project Tango aims to bring spatial awareness of the world around us to handheld devices. We can navigate to any corner of the world, and yet our devices don’t know the difference between up and down, left and right, or what’s beyond the horizon, since these devices “see” the world in 2D. 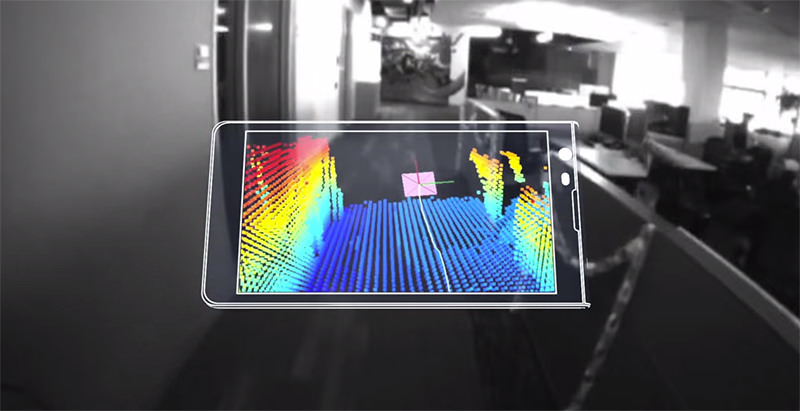 With Project Tango, mapping the world in real-time won’t be a problem. Imagine entering a building and as you walk inside it, your smartphone maps everything. The ceiling, floor, walls, and objects on your path. To get an idea of what we can use this technology for, we will let the magic of movie science show you. Here’s a clip from the movie Prometheus where it shows exactly what Project Tango can be used for. Calico is a research and development company that was founded by Google Inc. and Arthur D. Levinson. 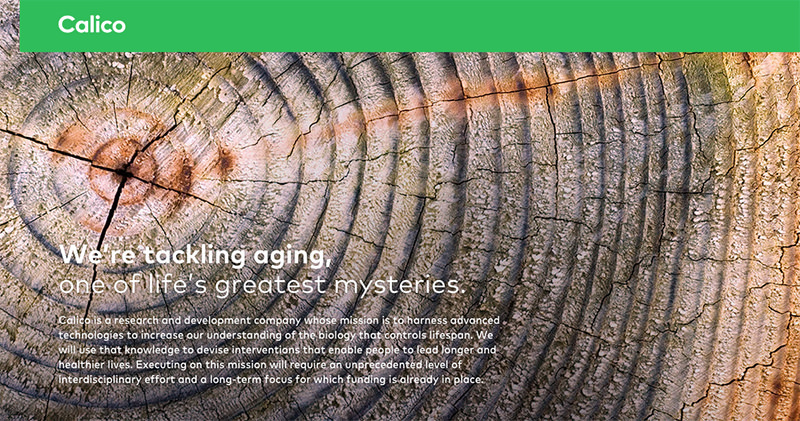 Its focus is on aging and how to slow it, along with how to counteactr age-related diseases such as cancer and neurodegeneration via new therapies and treatments. Liftware is a self-stabilizing handle that can be used as a fork or a spoon, which is perfect for people who suffer from muscle problems, for instance patients of Parkinson’s Disease. The problem that all Parkinson’s Disease patients experience every day is their inability, or reduced capacity, to eat by themselves (depending on the severity of the disease). Losing control of their motor skills makes feeding themselves that much harder than it is for those who do not suffer from the disease. Not only does Liftware help reduce the spoon’s shaking by 70%, it also boosts a patient’s confidence, since they can simply eat anytime they want without anyone helping them. The starter kit is priced at $295 with option for add-ons like fork and soup spoon. 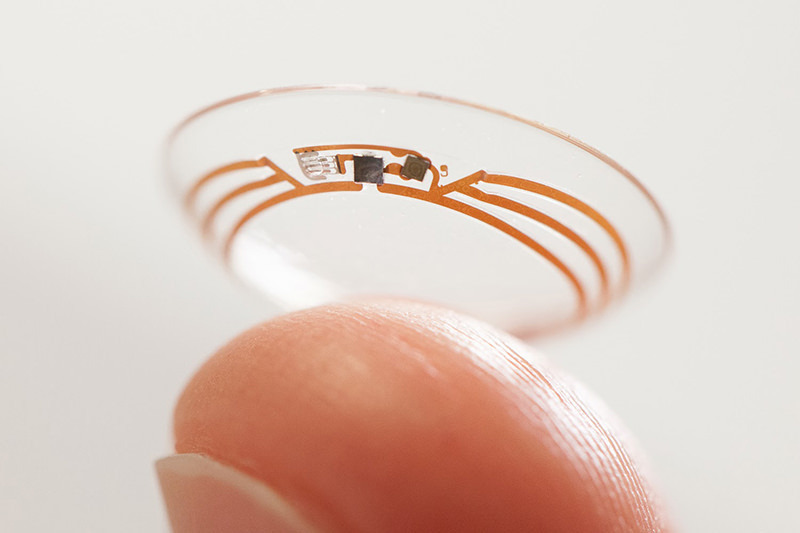 The main purpose of Google’s smart contact lens is to help monitor sugar levels on diabetics. It may seem like a small deal but if you suffer from diabetes, you will need to get give repeated blood samples for analysis of your blood sugar levels. This means a lot of finger pricking to draw blood up to the surface. With the smart contact lens blood glucose levels can be measured through tears, thereby allowing the blood-letting method to be skipped altogether. The idea is to have glitter-thin microchips and an antenna smaller than the human hair embedded in soft contact lens material. With round-the-clock monitoring, the smart contact lens, in the future, can also warn the wearer if glucose levels are above or below the normal range. This is the only place we live in, we better take care of it. The Earth’s fossil fuel supply is dwindling fast, and the race is on to find alternative and more sustainable sources of energy. Google is facing this problem headlong and has turned its attention to the energy that can be harvested from wind. But instead of windmills planted on large stretches of wind-filled lands, Google is taking its energy harvester to the air. 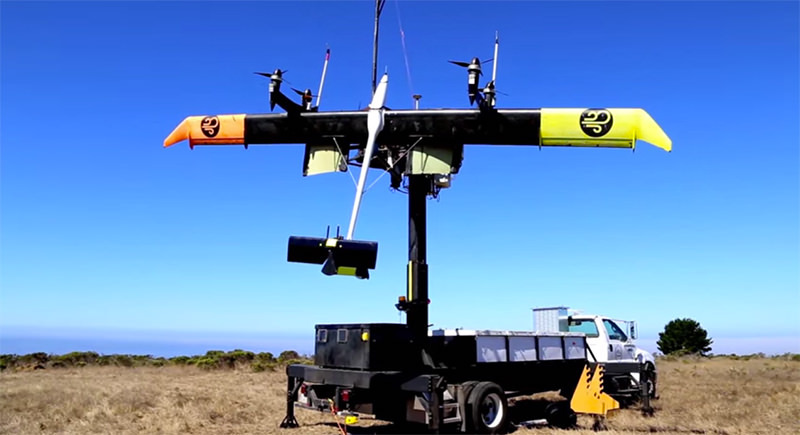 Through their project Makani, Google wants to harness wind energy while in the air, as in while flying, using an airborne wind turbine, which is flown in the air like a kite. The “energy kite” is tethered to the ground, just like a normal kite would be. As it gains more altitude, and therefore faces more wind, the energy output also increases. This is possible due to the recent advancements in the shrinking of computers (like Raspberry Pi). Cheaper and more energy efficient (in the manufacturing sense), Makani “energy kites” can be used in any windy area in the world. The number of people who are connected to the internet is growing by the minute. And while more and more people are getting connected every year, the hard-hitting truth is that the majority of the world just isn’t part of the Internet population. Why? Because setting up the infrastructure is expensive, and many places in the world simply could not afford this luxury (which, is now deemed a human right by the way). Project Loon tries to solve this problem by taking it to the stratosphere. By using balloons, Google plans to provide Internet connection to the whole world. It works by acting as a node between the base Internet Service Provider and those who have a receiver in their homes. The balloons fly 20 kilometers (around 13 miles) above the ground. And Loons, powered by solar energy, can use the wind in the stratosphere to “sail” across the land. So far, I have only mentioned a dozen of their projects, but in reality they have way more than that (and maybe even a few secret ones on Google X). The truth is, though, their projects come and go, and no matter how good some of these projects sound on paper, some do not see the light of day. Others get cancelled just when they’ve gained popularity (or infamy, like Google Wave), but that’s what research and development is all about, right? In any case, the future is looking great, don’t you think so?